He’s one of the biggest names in professional football, and one of the biggest sports stars in the world. The most expensive football player in history thanks to his huge, record-setting £80-million transfer contract, Cristiano Ronaldo has made waves in the world of football since he started playing professionally at the age of just 18. 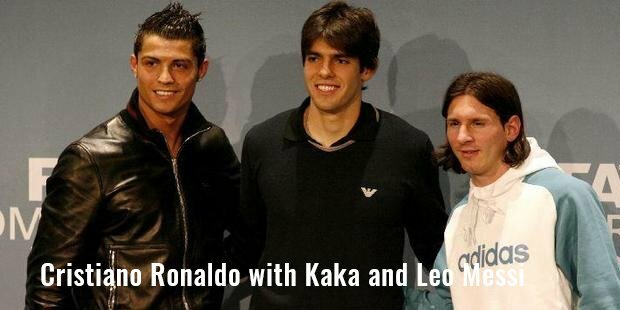 Few teenage football wizards become professionals in their early youth. 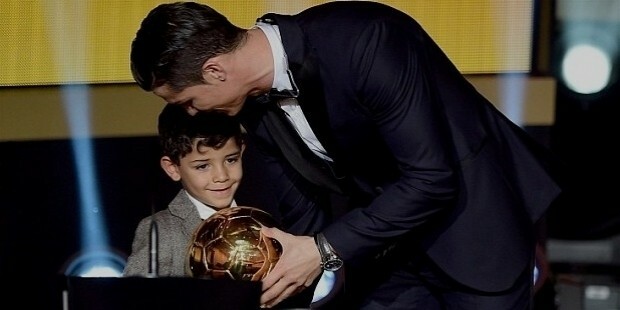 Cristiano Ronaldo, however, was playing for one of the world’s most renowned teams in his late teens. Signed to Manchester United in 2003, he became the club’s first player from Portugal, boasting an incredible £15-million agreement in his late teens. Christiano Ronaldo was born in Santo Antonio, a neighbourhood in Madeira in Portugal. 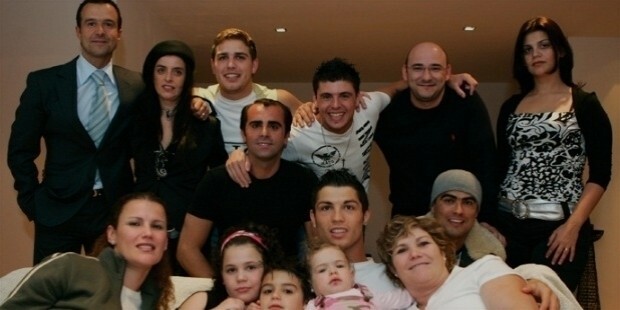 His father José Dinis Aveiro was a gardener and his mother Maria Dolores dos Santos Aveiro was a cook. He is the youngest of four children, he has one older brother Hugo and two older sisters Elma and Liliana Cátia. When he was a child, he lived in pretty tight financial situation. He mentioned that all the siblings lived in the same room when they were young. They were a staunchly Roman Catholic family. In school, Ronaldo was generally popular but he was expelled when he threw a chair at his teacher for having ‘disrespected’ him. He started playing football early in life, at the age of 8, when he started playing for Andorinha a local amateur football club. At the age of 10, he signed up with the local club Nacional, having started to show talent. In 1997, at the age of 12, after a title winning season with Nacional, he was signed up by Sporting CP for an undisclosed sum. At the club, he trained at their Academia Sporting with the other youth players. By the age 14, everyone realised that he had potential and he decided to try to give playing football professionally or semi professionally a chance. He became the only player in the club to play in their Under 16, Under 17, Under 18, B- Team and eventually the first team all in one season. He scored twice in his debut league match against Moreirense. He was also selected for Portugal’s Under 17 Team for the 2002 European U 17 championship. 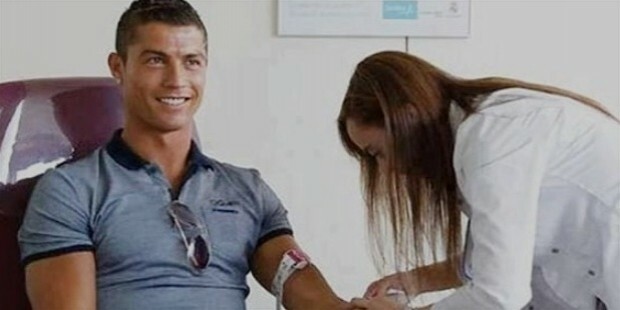 When he was 15, Ronaldo was diagnosed with ‘Racing Heart’ and he needed to undergo surgery to correct it. If not for the treatment then, his career of a professional footballer would be over before it even started. In November 2002, he visited Arsenal Football Club to meet Arsène Wenger who was interested in signing him and wanted to discuss arrangements with Ronaldo’s representatives. During his very successful years in Sporting CP and his visit to London, he came to the attention of Liverpool FC as well. In 2003, Sporting CP defeated Manchester United in Lisbon, where Cristiano Ronaldo came to the attention of the Man U Players and Coach, Sir Alex Ferguson. 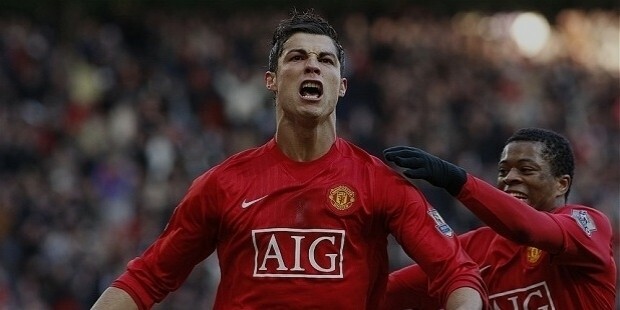 In 2003, Cristiano Ronaldo became the first Portuguese player to be part of the well-known Manchester United team, signing a £15-million contract and securing himself a future as a football star. After he joined Man United, Sir Alex Ferguson insisted on giving him the no 7 Jersey. 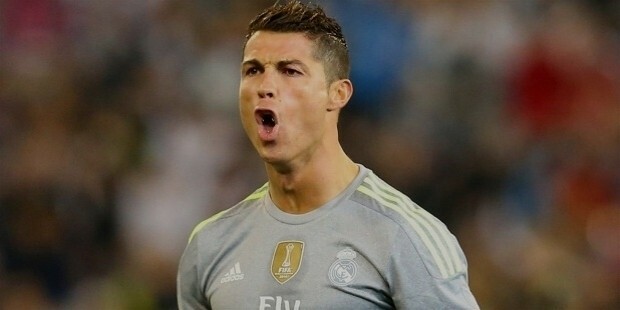 Ronaldo initially wanted number 28, which was his jersey number back in Sporting. When offered the number 7 he was initially reluctant since that jersey had big names linked to it like Eric Cantona, George Best and David Beckham. 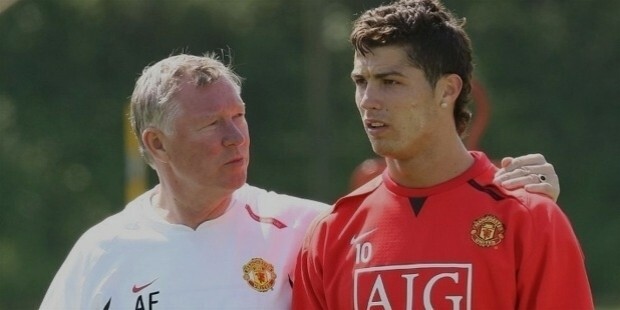 However, Ferguson didn’t budge from his decision and CR7 was created. Ronaldo mentions that he felt the need to perform better in order to successfully uphold the honour of that jersey.He played as a midfielder for Manchester United for three years before breaking out during the 2006 season as a promising new player. The years between 2006 and 2008 were Cristiano Ronaldo’s years to shine, with the young player scoring twenty goals in a season during 2006. His performance lead to numerous offers from other clubs, including an incredible £54-million contract from Real Madrid, attempting to entice the young star to their own team. In the June of 2009, Real Madric FC confirmed the transfer of Christiano Ronaldo to their ranks for a record transfer fee of £ 84 million ( € 94 million) after signing a six year contract with them. In Real Madrid, he was presented with their number 9 shirt and was welcomed by almost 85,000 fans in their home ground Santiago Bernabéu Stadium. 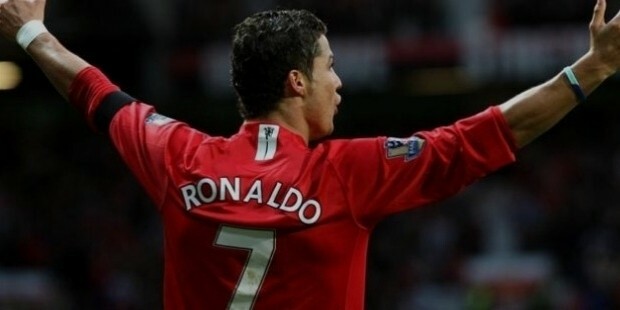 With the departure of Raúl in 2010, Ronaldo was given his number 7 jersey and a new era began for CR7. His performance got better from match to match and he scored goals, it seemed, by the dozens. He broke the record for scoring fastest 200 goals for the club having scored them in just 197 appearances. "Ronaldo is a unique player for all of his talent and his professionalism. He is a player who is extraordinarily consistent." - Real Madrid manager Carlo Ancelotti. Numerous other clubs have made attempts to buy out Cristiano Ronaldo, including a huge £200-million offer from Manchester City. And although Ronaldo did mention that he missed the English Premier League, he did not entertain any talks of moving back to Manchester, leaving his success at Real Madrid behind. After having finished his six year contract with Real Madrid, he signed a new deal with them that would keep him at the club till 2018. Till date he has appeared in over 330 matches for Real Madrid and Scored over 340 goals in all competitions. He is the club’s all time record goal scorer. 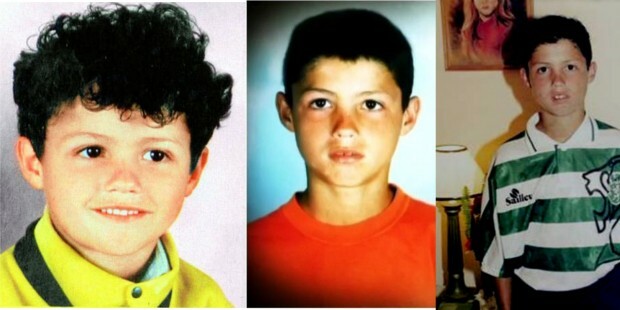 Cristiano Ronaldo started his international career early, in 2001, having being included in the under 15 Portugal team. He also represented Portugal in the under 17, under - 20, under - 23 national sides’ competitions. He first appeared for the senior team in 2003 in a match against Kazakhstan. Ronaldo was called up for 2004 Euro championship where his performance got him a place in the UEFA Euro all star team. He played for Portugal in the 2006 world cup, having scored the second highest number of goals in the qualifying campaign. In 2008, after Portugal was knocked out of the EURO competition, the entire team underwent a major overhaul. 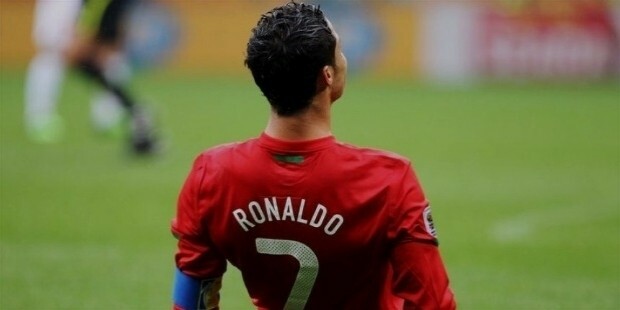 After the change in coach, Cristiano Ronaldo was made Captain of the Portuguese national Football Team. In the 2010 World cup, he Captained his team, leading them up to the Round of 16 where they were knocked out by Spain. 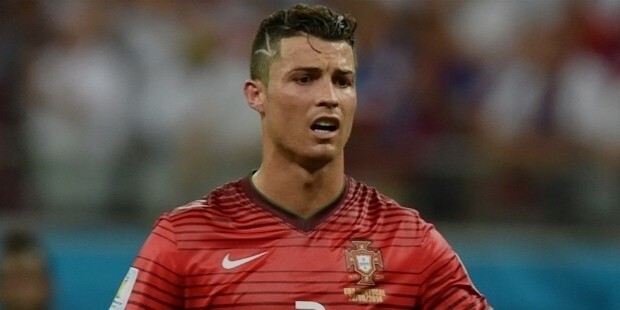 2014 World Cup came at a time when Ronaldo was a star.But, he was the only star in the Portugal Football Team. He was also recovering from injuries he has sustained in the later half of his successful 2013-2014 season with Real Madrid. During the qualifying rounds for the 2014 World cup, he scored prolifically and by the time the World Cup Tournament rolled around, he already had become the highest scorer for Portugal. He also won 100 Caps for his country during this time. He became the only Portuguese national to have played for three consecutive World Cup Tournaments. Cristiano Ronaldo’s incredible ability has made him one of the football world’s most praised and respected stars, while his youth and child stardom made him something of a child prodigy amongst football fans. What many people forget about, however, is that Cristiano Ronaldo practiced endlessly to acquire his incredible football skills.A star in the game since his early teens and a true contender for ‘greatest player’ at the age of 28, Cristiano Ronaldo’s investment in his own sporting skills made him a worldwide star. His focus, drive, and ability to build his skills to their current level makes him a true success story for football fans and budding athletes alike. Usually, Ronaldo is very tight-lipped about his personal life other than his ‘womanising’ that is splashed all over the tabloids. He rarely, if ever drinks alcohol and does not have any tattoos since he donates blood frequently. Very recently he has come to reveal a little more about his son and what his plans for the future are. His son, to whom he has exclusive parental rights to, is five years old, and is names Cristiano Ronaldo Jr and was born in June 2010.
he has dated many high profile women in the past including, but not limited to the english models Alice Goodwin and Gemma Atkinson. He dated Russian model Irina Shayk from 2010 to 2014. He is well known for his philanthropy. 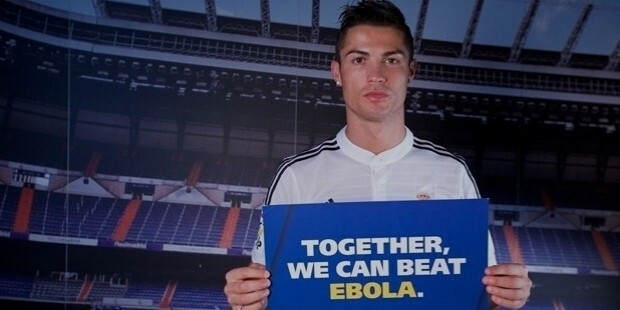 Be it rebuilding of Indonesia after the Tsunami in 2004, or campaigning with other footballers for fight against Ebola, he’s done extensive work for the needy and underprivileged people of the world.